The popularity of home education is growing. From 2007 to 2013, the number of students who were homeschooled increased 17%, according to National Center for Education Statistics Report. A little over 2.2 million children are educated at home, cites the National Home Education Research Institute. An article from Breitbart.com, from March 2014, discusses parents withdrawing their kids from public school and choosing home education, due to their disenchantment with government programs such as common core. Studies have shown that homeschoolers test better than public students as well. Above all else, parent get to spend more time with their children. There are pros and cons to being educated at home, but the general consensus is that homeschooling your child can be very positive for the child's growth. 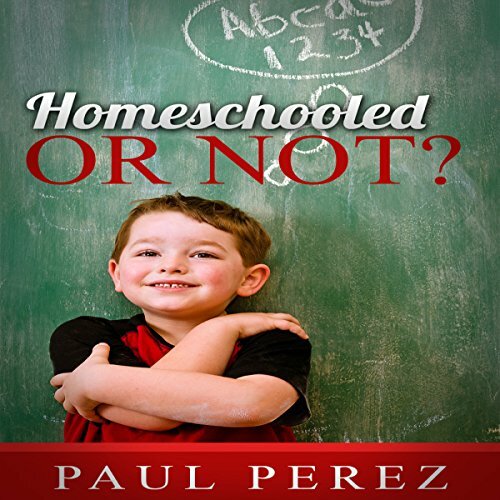 The purpose of this audiobook is to answer likely questions one would ask, in deciding whether their child (or children) be homeschooled or not. Am I authorized to homeschool my child? How expensive can homeschooling be? Homeschool laws - what you need to know. As someone who homeschooled my own children, I found this very informational. For anyone trying to decide on whether or not to homeschool, this is a great starting point. As is said in the book, you don't have to know everything, you just need to be able to find what you need. The only thing not mentioned here are home schools and charter homeschools. Homeschooling resources and environments vary. I was lucky enough to live in an area full of homeschooling resources. There are multiple homeschooling networks that are more than happy to answer any questions. This is where I'd start. But, this little guide is great to get you pointed in the right direction.